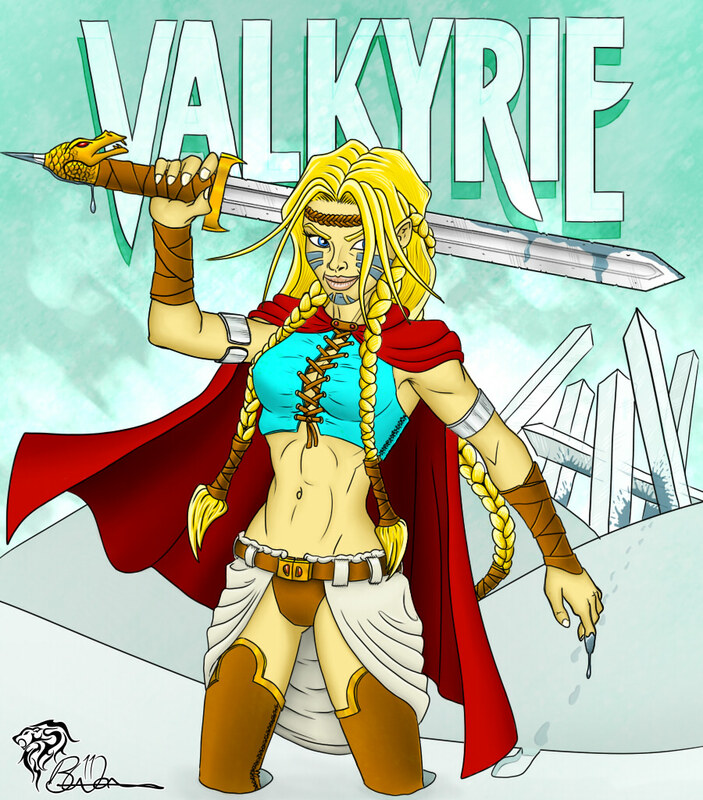 Well I saw this sketch [link] by Monet88 [link] and was so inspired by the pose and style that I decided to use it as a reference for my own Valkyrie image. Here we see young Brunhilde leaving a Frost Giant Camp in Jotunheim after having defeated them as a right of passage into adulthood. In accordance with tradition she has blooded her face as proof of her accomplishment. I liked the basic pose and style of Monet’s interpretation of Ultimate Valkyrie, so this is as much a homage to his image as to the Marvel Comic character.